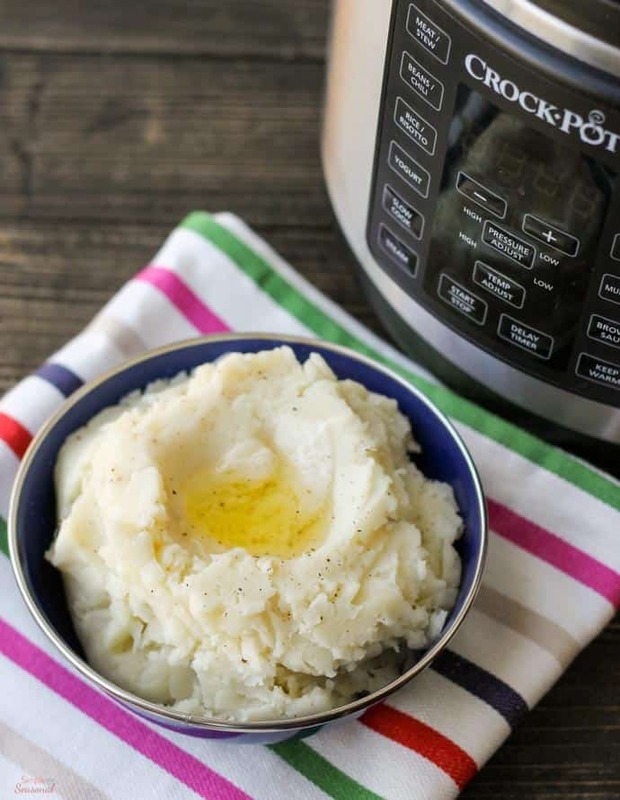 Not everything in an electric pressure cooker cooks faster, but Crockpot Express Mashed Potatoes are definitely faster (and easier) than their stove top counterpart. 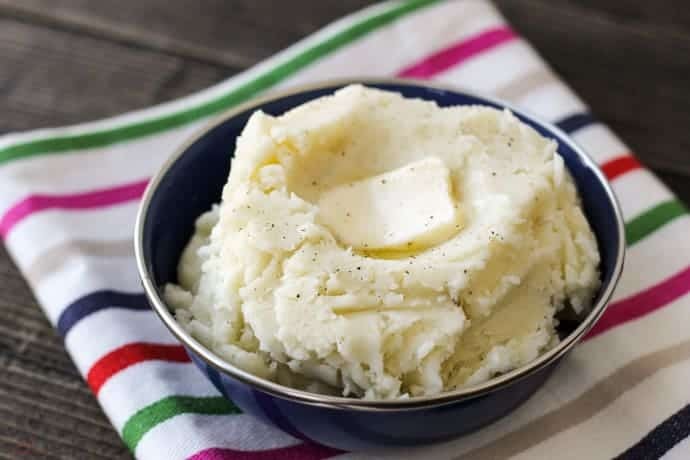 Growing up, I loved instant mashed potatoes. I preferred them to homemade potatoes, which is just wrong, I know. Now that my palate has matured, I really can’t stand the grainy texture of instant potatoes. But occasionally, a box of them will end up in my pantry because they are just so much faster and easier than making mashed potatoes the old fashioned way. 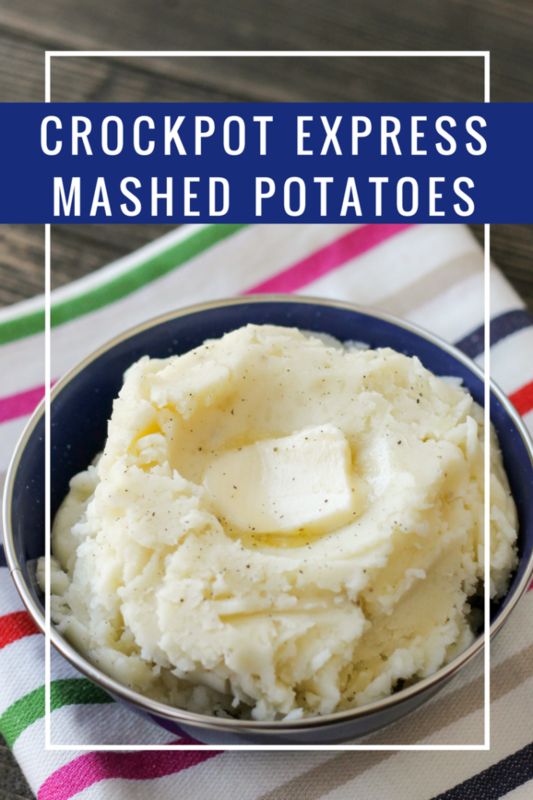 [Insert trumpet fanfare here] Crockpot Express Mashed Potatoes to the rescue! Here’s the thing: my kids are all over the map when it comes to mashed potatoes. Bryce has despised them his entire life. Even as a baby, he couldn’t stand them. For him, it’s about the texture. Henry used to love them (he would order them at restaurants as his main meal) but recently has started leaving them on the plate. Charlie will eat them if you force him to, but he’d rather not. Because I’m making them mostly for my husband and myself, I wrote the recipe a little on the small side. 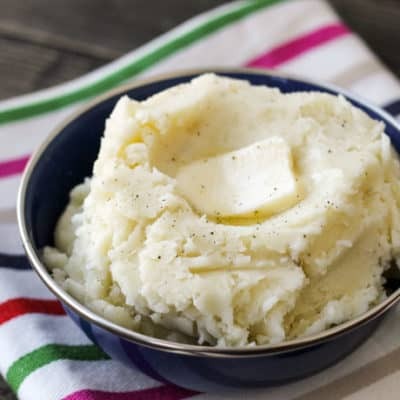 But the great thing about Crockpot Express mashed potatoes is the cook time doesn’t change, even if you decide to double or even triple the recipe! It will take longer to come to pressure, but the results will be the same: creamy, fluffy potatoes just begging for butter! If you don’t already have one of these magic machines, you can get one on Amazon here! Peel and wash the potatoes, being sure to cut out any dark spots. Cut them in quarters. Place the trivet in the pot and add 1 1/2 cups of water. Place potatoes on top of the trivet. It's OK to stack them if you need to. Don't put the potatoes in the water or they'll get mushy! 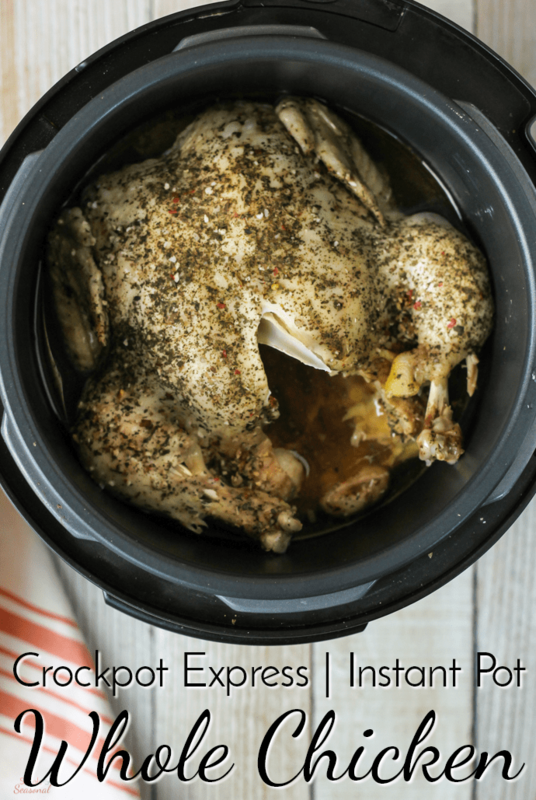 Press Steam and adjust time down to 8 minutes. Press Start/Stop. When the cook time has elapsed (timer will beep) do a QPR (quick pressure release) by flipping open the steam release valve. Remove potatoes from the pot and place in a mixing bowl. Add butter, milk and salt/pepper and then mash with a potato masher until creamy and well mixed. Feel free to adjust the butter and milk to your own tastes. 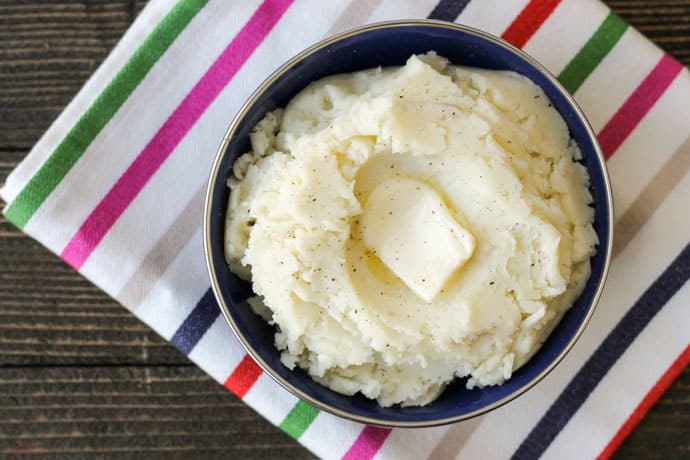 Use heavy cream instead of milk for even creamier potatoes! Add liquid slowly as you mash, until reaching desired consistency.